TKI: What is the Thomas-Kilmann Conflict Mode Instrument? How do you handle conflict? The Thomas-Kilmann Conflict Mode Instrument (TKI) is the world’s best-selling tool for helping people understand how different conflict-handling styles affect interpersonal and group dynamics—and for empowering them to choose the appropriate style for a given situation. It’s fast and accessible, delivering insight, empowerment and resolution to anyone involved in conflict. By identifying alternative conflict styles, it helps people reframe and defuse conflict, creating more productive results. 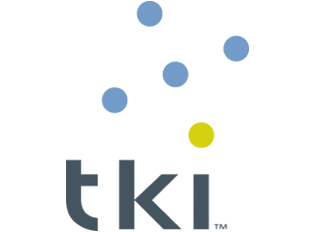 Why might I benefit from Understanding my TKI assessment? You might have noticed that different people respond differently to conflict? You are looking for immediate, actionable results that transform potentially damaging conflict to foster constructive difference? There are five conflict-handling modes based on the two underlying dimensions: assertiveness and cooperativeness. Assertiveness is the degree to which you try to satisfy your own concerns. Cooperativeness is the degree to which you try to satisfy the other person’s concerns. Accommodating – this is low assertive and high cooperative. It is the opposite of competing; it means neglecting your own concerns to satisfy those of another person. What does it involve and how much is the investment? You will be asked to complete the questionnaire online. The Simplicity of the tool and ease of understanding in the comprehensive 10 page report which details your default response in conflict and provides specific tactics for conflict resolution, means most people do not find a face to face feedback session necessary. An optional feedback session can be arranged at an additional cost. You can purchase of individual report via Unleash Your Potential.